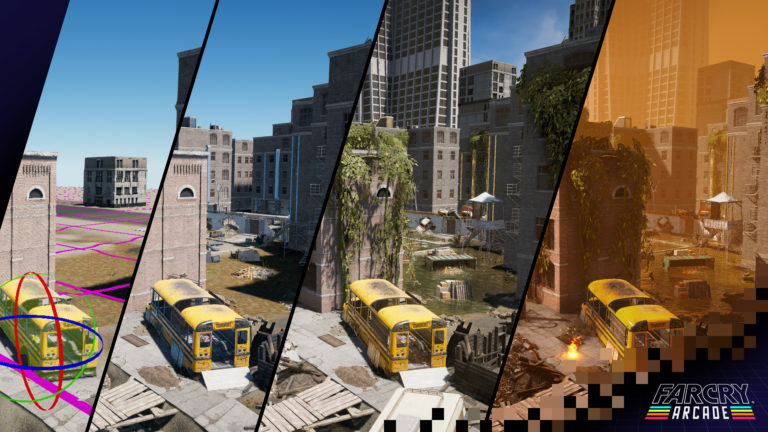 Ubisoft details Far Cry 5 post launch content | PowerUp! Ubisoft has today detailed its Far Cry 5 post launch content plans. 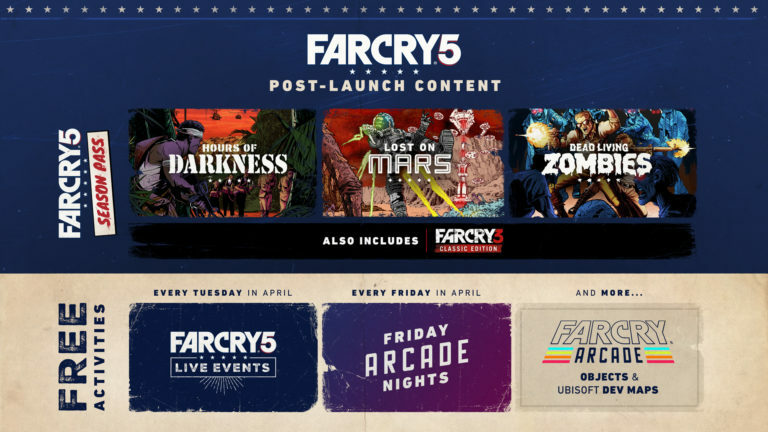 Players will be able to experience both free and paid Far Cry 5 post launch content which includes the three add-ons announced in February 2017. The season pass and Gold Edition will also give players a copy of Far Cry 3 Classic Edition which is also set to see a standalone release in 2018. 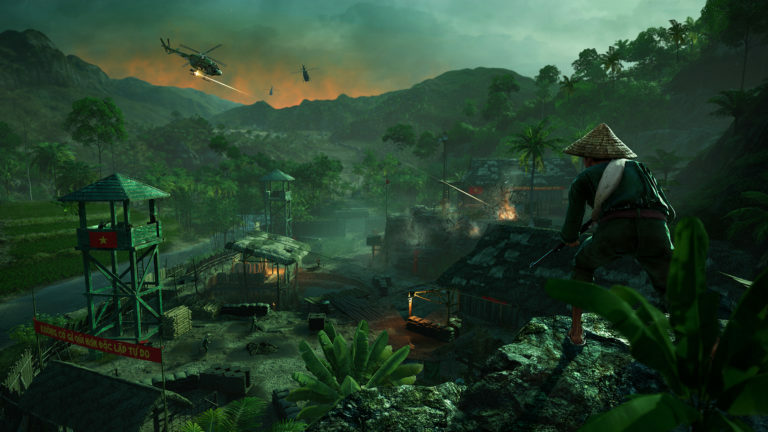 Following Far Cry 5’s launch, players will first get to go back in time and fight in Vietnam with the “Hours of Darkness” DLC. Players will be dropped into war-torn Vietnam and forced to fight Vietcong, save friends and get out while they still can. 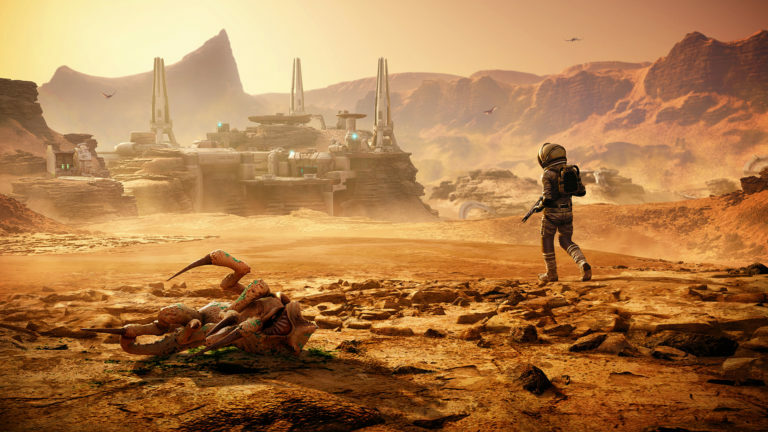 The second DLC, “Lost on Mars” will see players have to save Earth by defeating an alien menace on the red planet. Finally, the third DLC, “Dead Living Zombies” will task players with surviving a range of zombie hordes as imagined by a B-Movie director. As part of the free Far Cry 5 post launch content, Ubisoft has unveiled the Far Cry 5 Arcade. 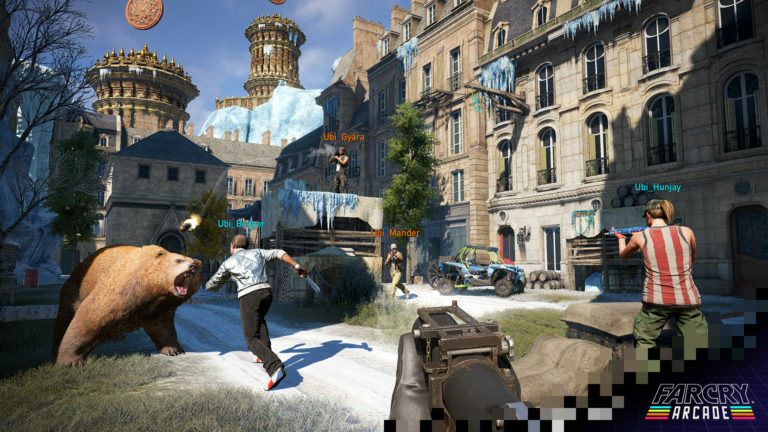 The Arcade is a mode with unlimited maps and modes created by Ubisoft developers and the community. Players will be able to play solo, co-op and 6v6 PVP. Far Cry 5’s Arcade Mode will be constantly supported and updated with new content to make sure players always have something to play. Finally, Far Cry 5 live events will help to keep players engaged by offering up special timed events. Players will be able to complete the events to earn outfits, weapons and vehicles. 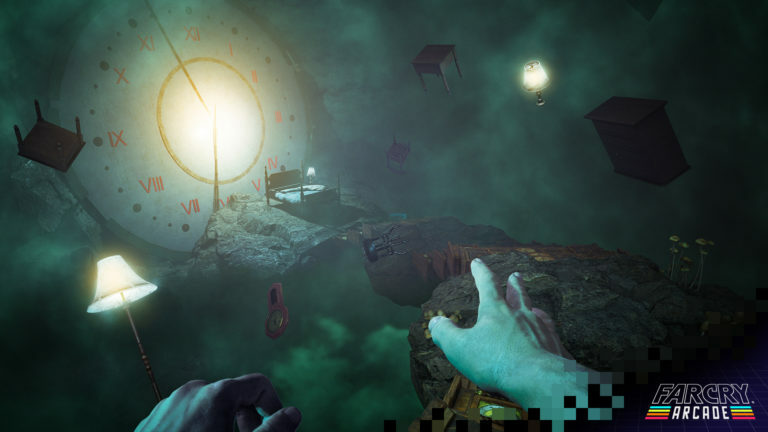 Far Cry Arcade will also include elements from other Ubisoft games like Assassin’s Creed. 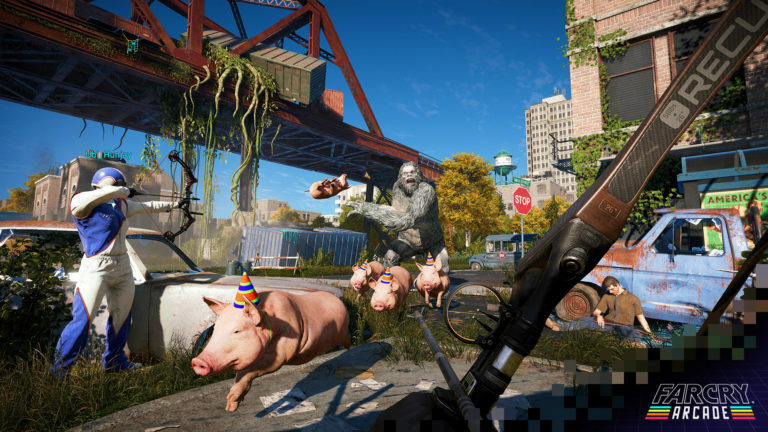 Far Cry 5 is shaping up to be one of the most impressive games of 2018. it certainly looks to be one of the best shooters of the year and with all of the Far Cry 5 post launch content, players are sure to be playing for months to come. Far Cry 5 launches for PC, PS4 and Xbox One on March 27, 2018. Take a look at some screenshots below.